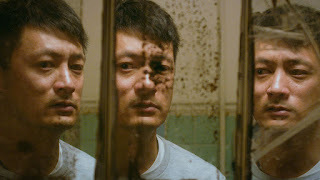 Trailer for upcoming Hong Kong Film "Mad World"
A mentally ill stockbroker struggles to reconcile with his estranged father and his perturbed ex-fiancée in "Mad World", the first full-length feature of Hong Kong director Wong Chun. Looks like a sensitive character study of a man with bipolar disorder, played by Shawn Yuen and co-starring Eric Tsang as the father. "Mad World" won the Hong Kong Film Critics Society Award 2016 in the "Best Director" category. Asian Film Vault: Trailer for upcoming Hong Kong Film "Mad World"